Looking for 123 Reg promo codes and coupons? #MasterTheWeb and save money today with our exclusive The Webmaster offers. 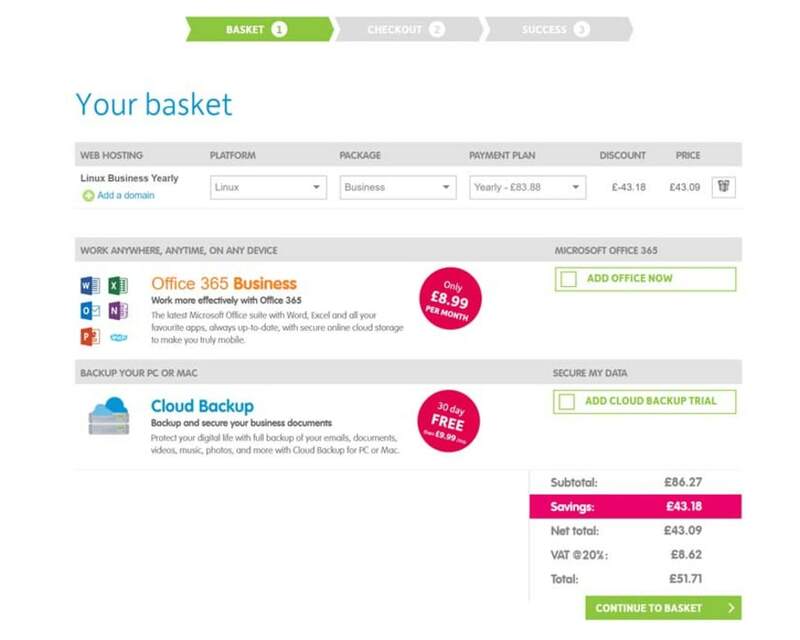 This coupon allows you to get 15% off 123-reg shared hosting plans. The discount applies to your first invoice, so sign up for longer for greater savings. 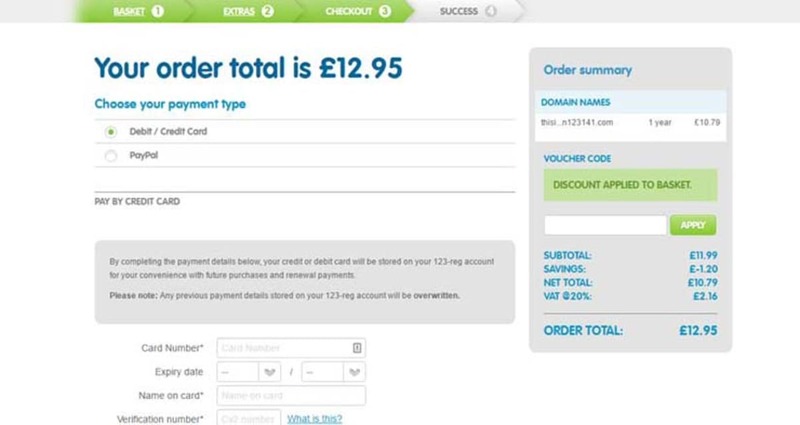 This coupon allows you to get 15% off .co.uk domain names registered with 123-reg. This coupon allows you to get 15% off .com domain names registered with 123-reg. 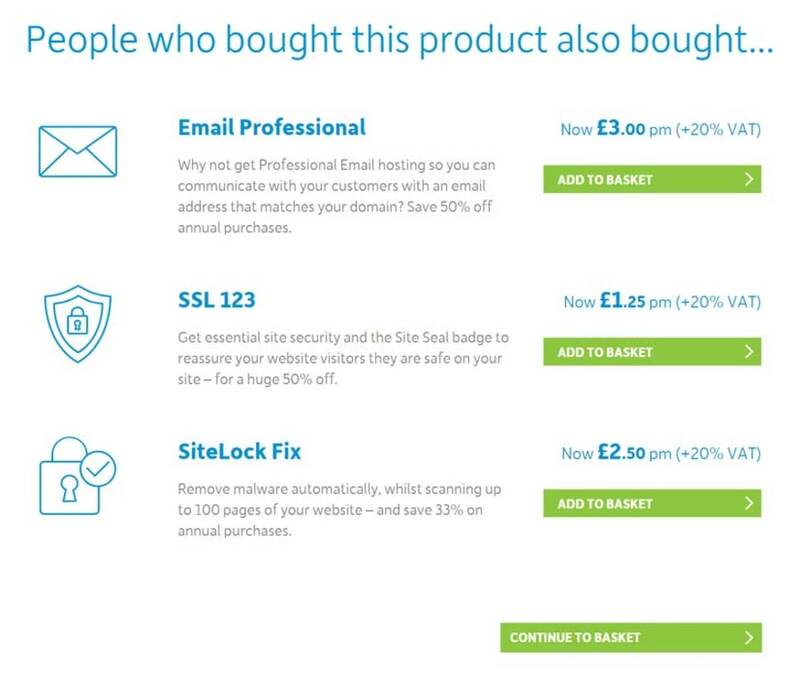 Get 15% off SSL certificates with this 123 Reg promo code. The 123reg coupons will need to be applied during the last stage of the checkout process, after which you will clearly be able to see whether any discount has been applied. The 123-reg promo code above will open up a new browser and take you to their website. Click on the word “Web Hosting” in the menu bar to be taken to their web hosting landing page. Click the 123-reg discount code © The Webmaster. If you scroll down on the web hosting landing page, you will find a full list of all their web hosting plans. The features on the various plans differ slightly, and therefore you should choose your plan wisely. Once you have chosen your plan, click the green “buy now” button to proceed further. 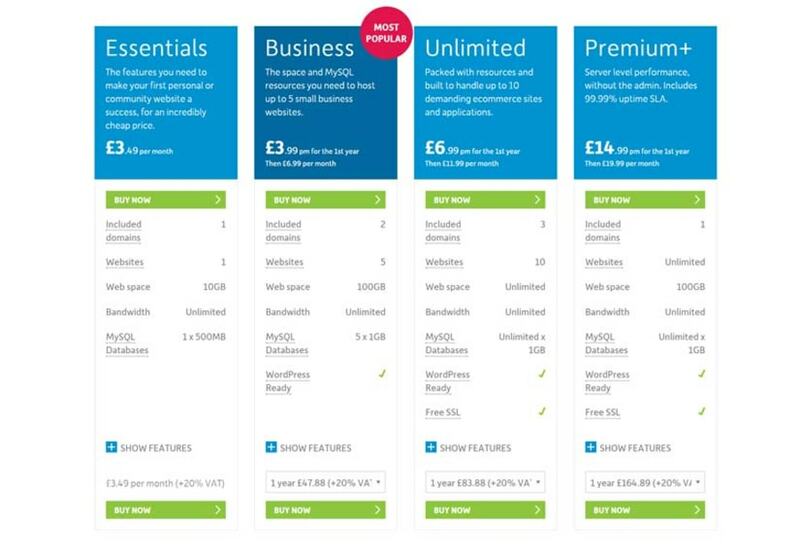 In the screenshot above, 123 Reg have a sale on their Business plan, and above. Our discount coupon can be used in combination with this sale for even greater savings. You will then be taken to an intersticial page advertising some of their add-ons. Once you have added any required extras (or not), click the “Continue to basket” button at the bottom. Choose add-ons © The Webmaster. The next screen shows a summary of your order, and also suggests adding Office 365 Business or Cloud Backup as add-ons. Office 365 also allows you to backup files \ emails, so you would not need both. If you want professional email, and access to Word \ Excel and all the other office programs then Office 365 Business is a great choice. You will note that your 123 Reg promo code is not yet showing in the Net total. Don’t worry. This will show at the checkout stage. Confirm Basket Order + Extras © The Webmaster. The stage is to register an account with 123-reg. Their password requirements are fairly tough, requiring at least 12 letters! You also have to insert your full address, and telephone number so make sure you have this on hand. 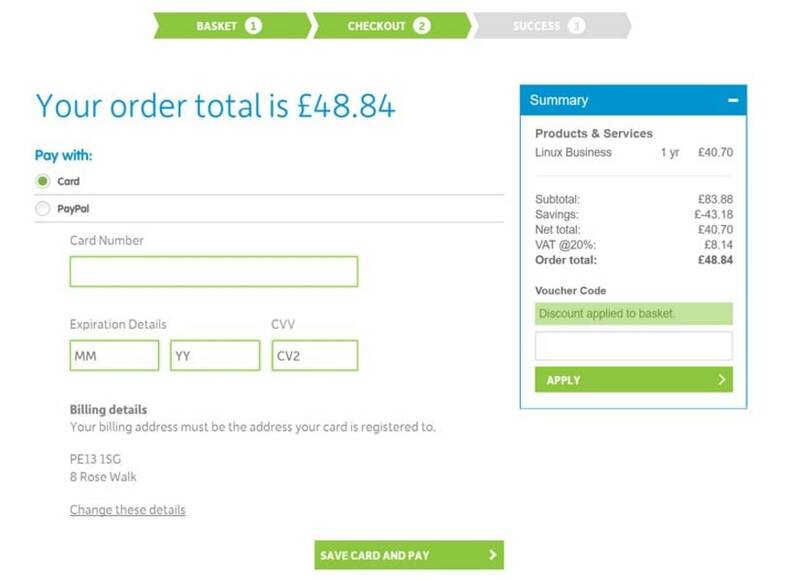 The next step is to check your order is correct, enter your 123-reg.co.uk voucher and then add payment details. To add payment details click either the “Card” or “PayPal” option, and the requisite form will display allowing you to enter all your billing details. Check Order details © The Webmaster. In the “Order Summary” box on the right-hand side of the page, you will see a link titled “Add a discount code”. Click this, show the input box. Enter your 123 Reg coupon code, and click “Apply” and the Order Total will update as indicated in the screenshot. Enter 123-reg.co.uk Coupon and Finalize Order © The Webmaster. To take advantage of this deal, you will need to enter the coupon at the end of the checkout process. 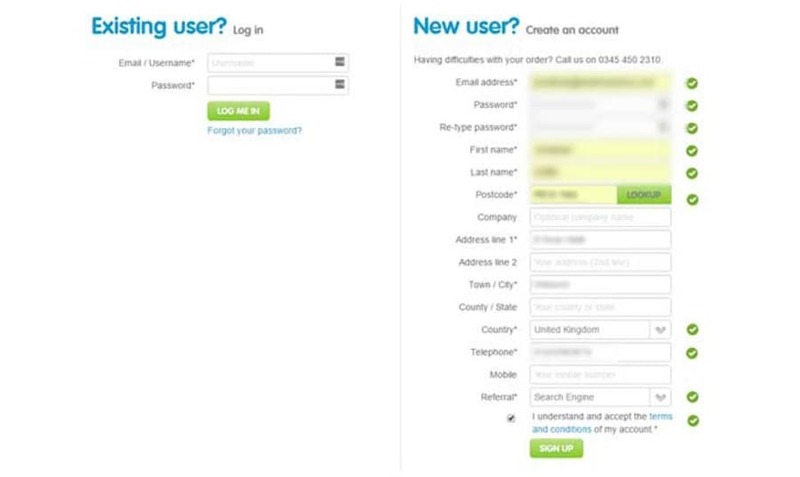 The process is identical to that above, except for the addition of a screen confirming the registered address for the domain. 123 Reg Domain Discount Code. © Screenshot. Without knowing your exact circumstances, it is very difficult to advise which plan you should choose. The plans have different features, such as the amount of web space and the number of websites you can host. If you have a busy or e-commerce based website, we would recommend the Premium plan to get more RAM and greater server performance. While the 123-reg Pre-Sales FAQ states that you can pay monthly, we can find no way to do so for their standard web hosting. For their Essentials plan, you can only pay yearly. For their Business and Unlimited plans, the only choices are Quarterly and Yearly. What other billing cycles does 123-reg offer? Depending on the plan, you can pay either quarterly or yearly. Do 123-reg offer a Free domain? Yes, depending on the plan you will be offered a free domain. You can pay for their services either by Credit \ Debit Card or via PayPal. Yes, 123-reg do accept PayPal. They do not accept Bitcoin at this time. If paying by Bitcoin is essential, we suggest Namecheap. They only offer a 14-day money back guarantee. To make a claim, you must telephone them within the first 14 days, and a refund will be issued minus the cost of any domains. Yes, if you have purchased using one of our coupons, then the discount will only apply to the first term. On renewal, no discount will be applied. Where can I find 123-reg's usage policy? You can find their Acceptable Usage Policy here. We highly recommend you read it before purchase.